You may now bow before your benevolent leaders once more, you worthless listeners – for The Failed Critic Podcast is back, and ready to rule your collective backsides. 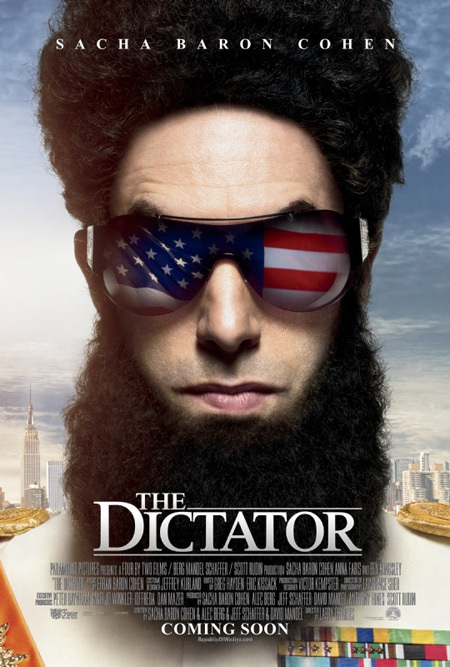 This week we review Sacha Baron Cohen’s latest comedy The Dictator, present our favourite films from the 1970s, and talk about the films that have interested, entertained, or maybe even just bored us in the last week. This week we have some brand new additions to the podcast. Firstly, we welcome Owen Hughes to the Failed Critic fellowship – he’s an entertaining and engaging bloke with an interest in some very obscure cinema. He still watches films on VHS! We are also trying a new bonus feature this week – ‘Spoiler Alert’, where we will discuss the main review in further detail. We apologise to all Gerry fans for his apparent absence for the last half-hour of the podcast – I’m assured he was still listening to us, but hadn’t seen The Dictator this week. What Gerry is here is Gerry-gold though.